There are two types of carpenter ant nests: parent colonies and satellite colonies. Parent colonies are typically established outdoors in moist wood including rotting trees, tree roots, tree stumps, and logs or boards lying on or buried in the ground. They may also nest in moist or decayed wood inside buildings. Wood decay may be caused by exposure to water leaks, condensation, or poor air circulation. Nests have been found behind bathroom tiles; around tubs, sinks, showers, and dishwashers; under roofing, in attic beams, and under subfloor insulation; and in hollow spaces such as doors, curtain rods, and wall voids. Areas around windows and where wood parts touch the foundation may be prone to infestation. Carpenter ants may also nest in foam insulation. Parent carpenter ant colonies sometimes establish one or more satellite nests in nearby indoor or outdoor sites. Satellite nests are typically composed of workers, pupae, and mature larvae. A satellite nest with less moisture may only support workers (the eggs would dry out in lower humidity). For this reason, satellite nests can be found in relatively dry locations, such as insulation, hollow doors, sound wood, and wall voids. The workers of satellite colonies move readily between their nest and the parent colony. In late summer, winged reproductives (i.e. queens and males) may emerge from pupae transported into satellite colonies. They may appear in structures in late winter and early spring as they swarm from a satellite nest. Carpenter ants may move eggs into satellite nests inside a house or other structure if there is enough moisture. Carpenter Ants are controlled through the application of insecticides and sprays in various forms. These forms include liquid concentrates, baits, dusts, and foams.Some products for carpenter ant control that are available in stores contain boric acid, an odorless, nonstaining powder that kills ants and other pests. The active mineral in boric acid has herbicidal, fungicidal and insecticidal properties.In controlling carpenter ants, boric acid can be a dry powder or a liquid insect bait solution that contains a food attractant. Boric acid acts as a stomach poison for carpenter ants and other insects. The dry powder is intended to adhere to an insect’s exoskeleton. The insect would ingest the powder when it grooms its legs to clean off the powder. The powder form of boric acid is injected into crevices and cracks, where it forms a layer of dust. When carpenter ants travel through boric acid dust, borax adheres to their legs. They ingest the poison while grooming, potentially leading to death.However, boric acid bait solutions must be carefully formulated, and there is no guarantee that over-the-counter solutions will kill a colony. If the risk of property damage is severe, consult a pest control professional before treatment. Non-Repellent Insecticides – Used as perimeter spray.Carpenter ants damage wood by excavating and creating galleries and tunnels for their nest. These areas are clean, i.e. they do not contain sawdust or other debris, and are smooth, with a well sanded appearance . Baits – Used on Carpenter Ant trails. 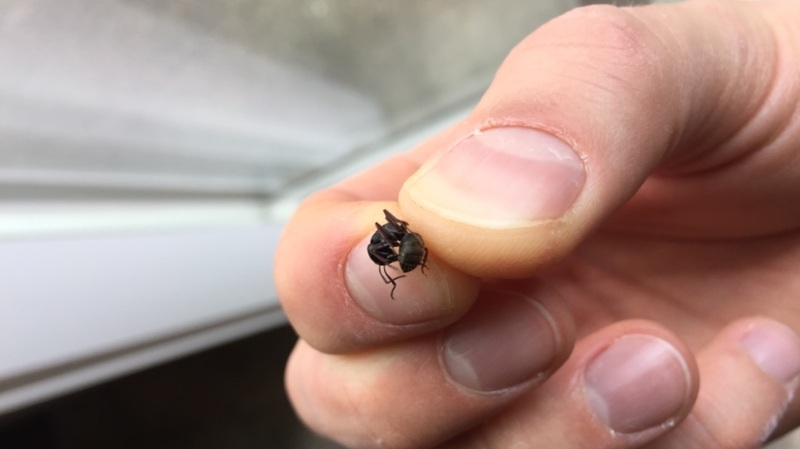 Here’s how carpenter ants control services work for a one-time treatments Lets say a pest control technician come out to treat the house or buiding on July 1st for ants and after two weeks or so you’re still having ants. within 45 days of your original service, the exterminator will come back and retreat the area for only $70, so in this example by August 15th. A lot of ants and it requires more treatments. the call-back rate would only be $50. Follow-up visits, The reason for this is because the products we applied on the exterior will keep working for 1 to 3 months and applying too much product to where ants are trailing can actually make the problem worse. The pest control technician will make a judgement call depending on the circumstances.